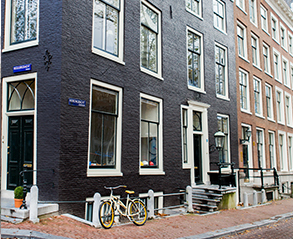 On Amsterdam’s most beautiful canal, in the centre of the city, this outstanding building is situated on the Herengracht 532. The modern, stylish interior combines beautifully with the grandeur of the 17th century canal architecture. The kitchen on the ground floor has a welcoming feel and connects the house with the outside. Built in 1688, the entire edifice was thoroughly renovated in 2012. The building consists of a souterrain with its own entrance to the canal, several spacious rooms (one on each floor) and a cosy, large, communal live-in kitchen. The interior design is a mix of modern and classic. The kitchen is the heart of the house, where all visitors can meet up. It is a place to relax together and have a drink after a day of shopping and museum visits. The kitchen is fully equipped with a stove, an oven, a refrigerator and a Nespresso machine. It also has all the books, magazines, maps etc. you’ll need to explore the city. Mokum Suites does not serve breakfast. 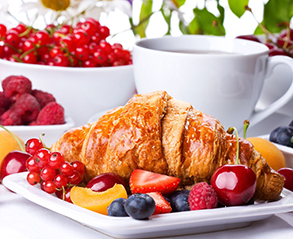 Enjoy a breakfast at restaurant Brug 34 in the neighborhood of our house at a reduced price. 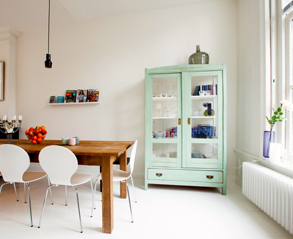 Or take it home to eat your breakfast in the Mokum kitchen.